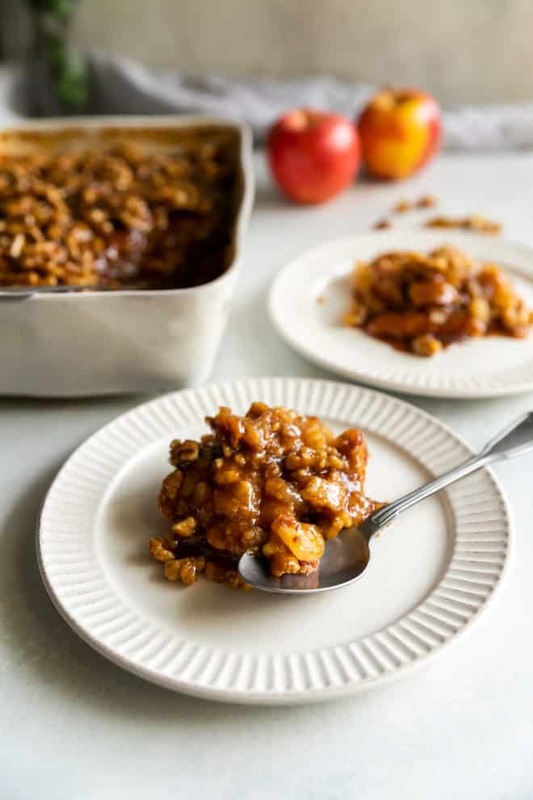 I teamed up with the California Walnuts to bring you this Apple Walnut Cobbler! I’ve been compensated for my time. All opinions are mine alone. Inspired by the famous Houston’s Restaurant in Austin, Texas (now known as Bartlett’s), this Apple Walnut Cobbler is like upside down apple pie, because that’s exactly how you make it. 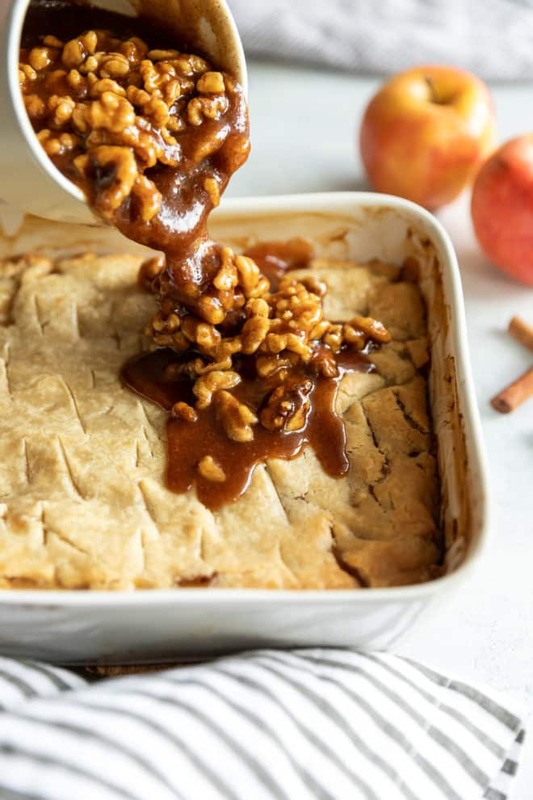 The baked apple pies are then topped with a rich caramel sauce that has been accented with walnuts which add a crunchy texture and nutty flavor. Just make sure to keep a couple frozen apple pies on hand, because once you serve this warm with vanilla ice cream, you’ll want to make it again and again! How do you make Apple Walnut Cobbler like Houston’s? 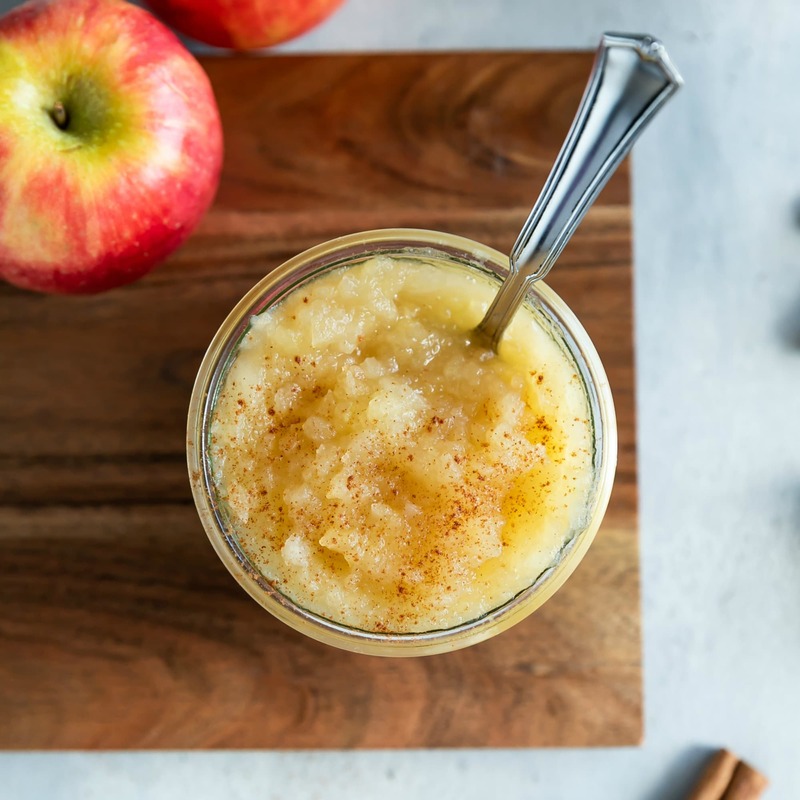 The trick – frozen apple pies! At Houston’s Restaurant, the cobbler is made up of frozen, disassembled apple pies laid out into a 13 x 9 inch baking dish. 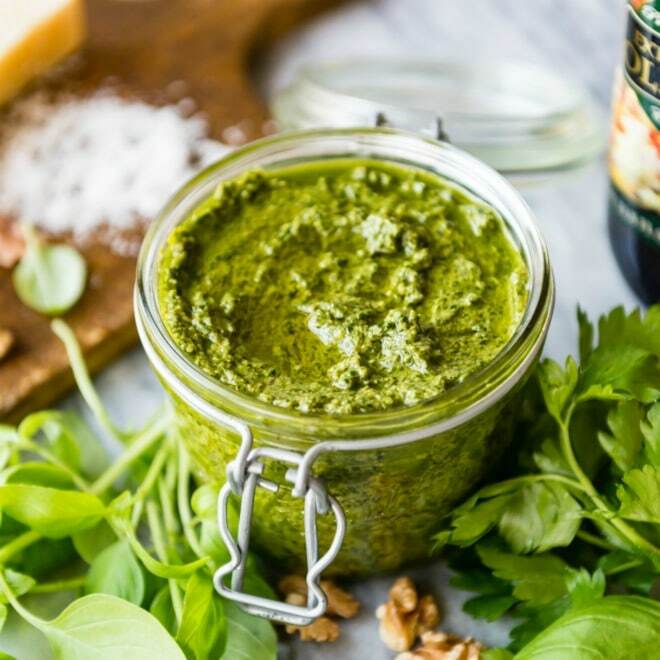 It’s one of the few things the restaurant doesn’t make from scratch. 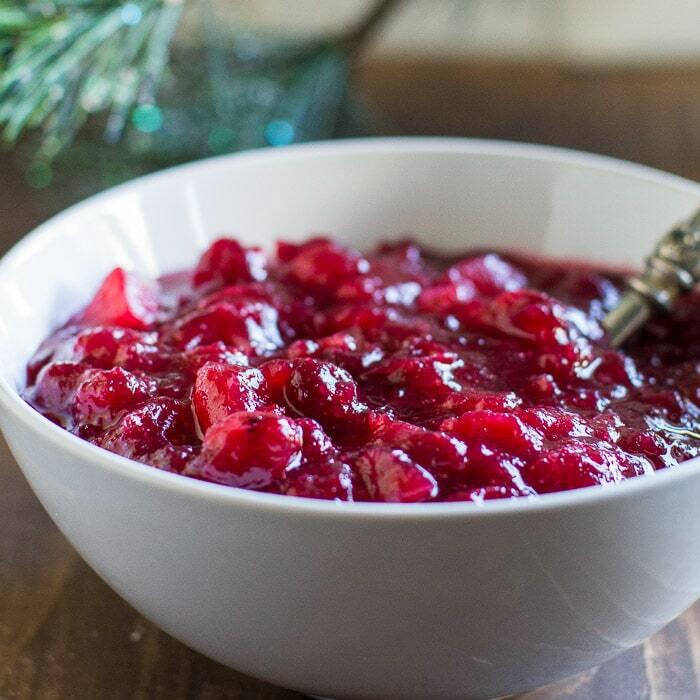 Adding allspice, cinnamon, and lemon juice to the apple pie filling gives the cobbler a brighter, homemade flavor. But the real magic is in the homemade caramel walnut sauce that gets poured on top! 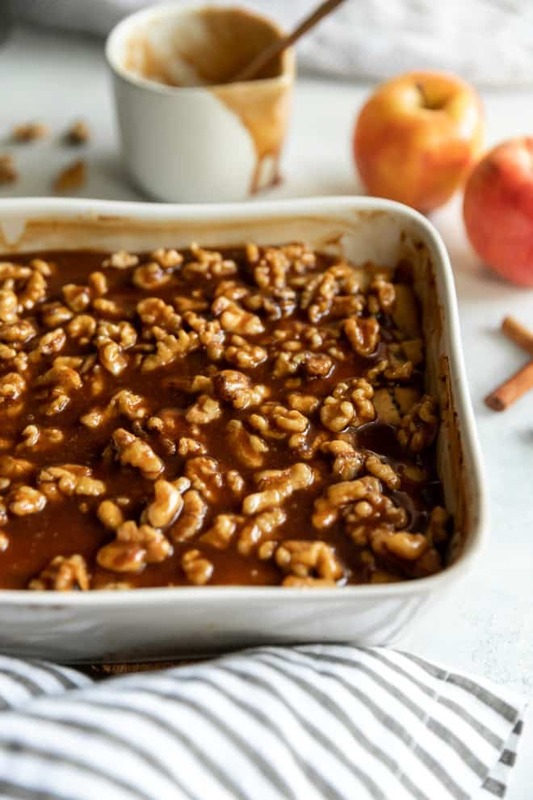 How do you make the caramel walnut topping? In a medium saucepan, melt the butter and brown sugar over medium heat, stirring constantly, until the mixture resembles a caramel sauce. This should take about 5 minutes. Remove from heat and add the cinnamon, water, and California walnuts. 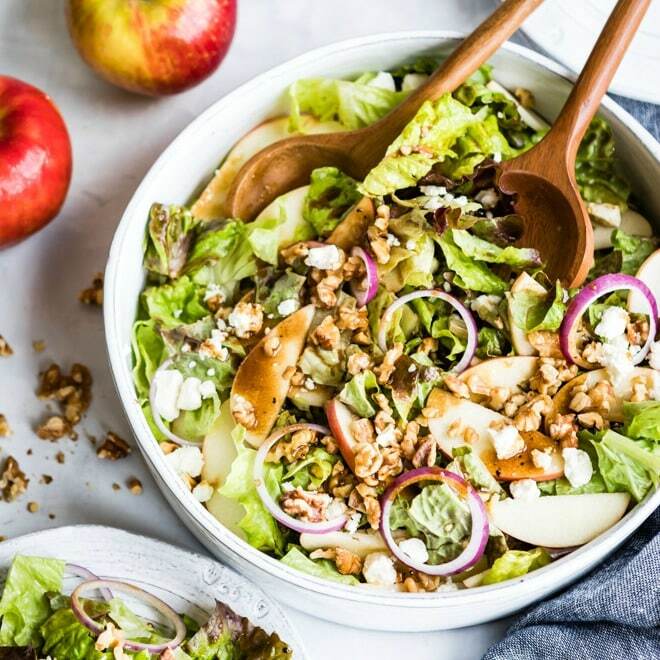 The water helps loosen the consistency, while the walnuts add a nice crunch! 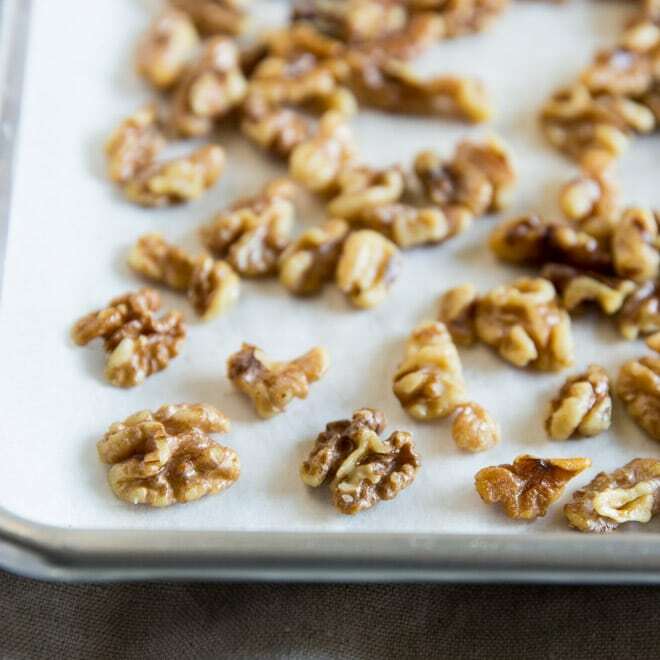 How do you make a salted caramel walnut topping? For that salty-sweet effect, replace the unsalted butter with salted butter. 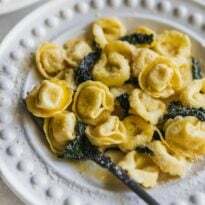 If you only have unsalted butter on hand, add ½ teaspoon fine sea salt or ¼ tsp Kosher salt to the sauce when you add the cinnamon, water, and walnuts. 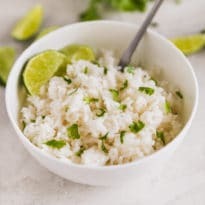 The residual heat will gradually dissolve the salt into the sauce. How do you defrost a frozen apple pie in the refrigerator? Simply place the pie, wrapped, in the refrigerator to defrost overnight. How do you defrost a frozen apple pie on the counter? Set the pie out on your counter, still wrapped in the plastic wrap, for 4 hours, or until cold but soft enough to cut apart. Keeping it wrapped in plastic will ensure the condensation to form on the outside of the plastic wrap, rather than the crust. 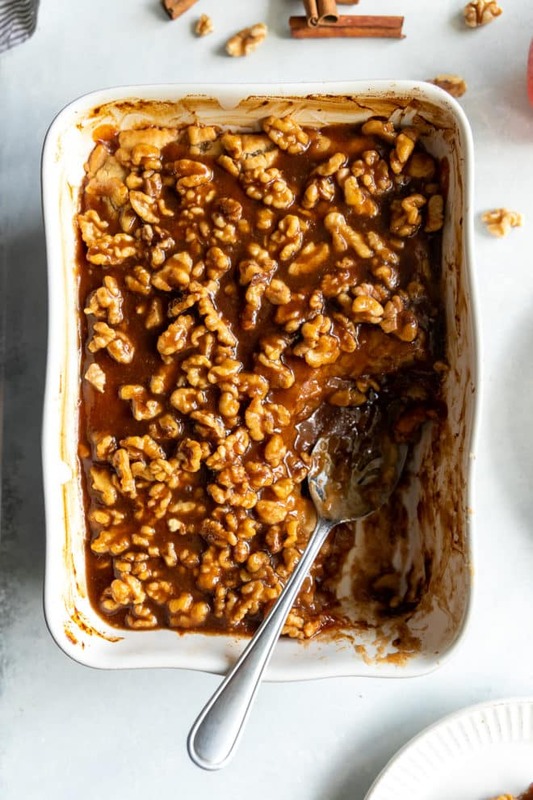 Inspired by the famous Houston’s Restaurant in Austin, Texas (now known as Bartlett’s), this Apple Walnut Cobbler is like upside down apple pie, because that’s exactly how you make it. 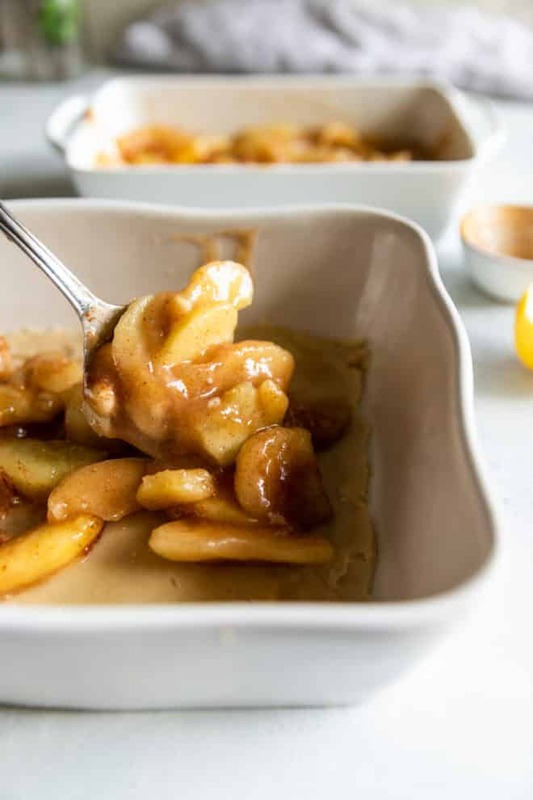 The baked apple pies are then topped with a rich caramel sauce that has been accented with walnuts, which add a crunchy texture and nutty flavor. 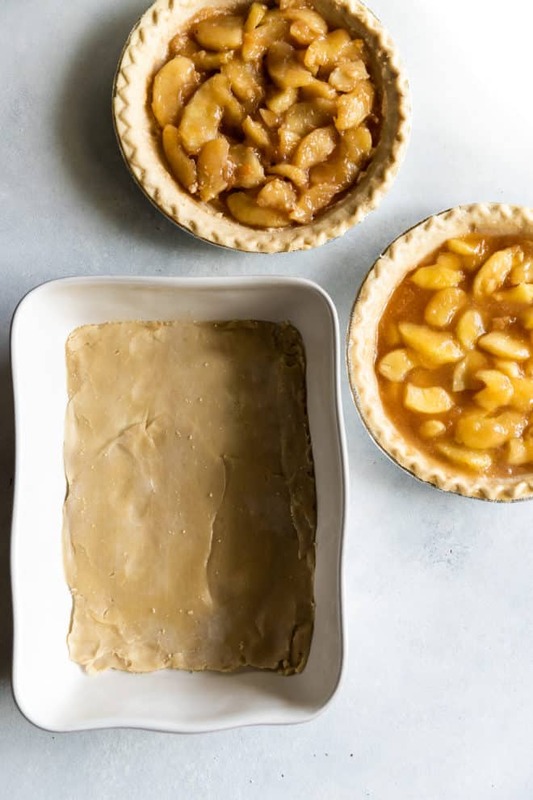 Carefully remove the pastry top of each pie using a sharp knife and arrange the tops inside a 9"x 13" rectangular baking dish, apple side up. (It's okay if it breaks.) Press the dough into the bottom and sides of the baking dish, overlapping if necessary, and set aside. Gently scoop out or pour the apple filling from each pie into a medium bowl. Add lemon juice, allspice, and cinnamon and stir to combine. Spoon the apple filling into the baking dish on top of the pie dough. Cover the apples with the bottom pastry of the pies, apple side down, overlapping if necessary. Cut several small slits in the dough and bake according to the pie instructions, or at 400 degrees, for 45-50 minutes, until the crust is brown and the apples are bubbling. Remove from oven. 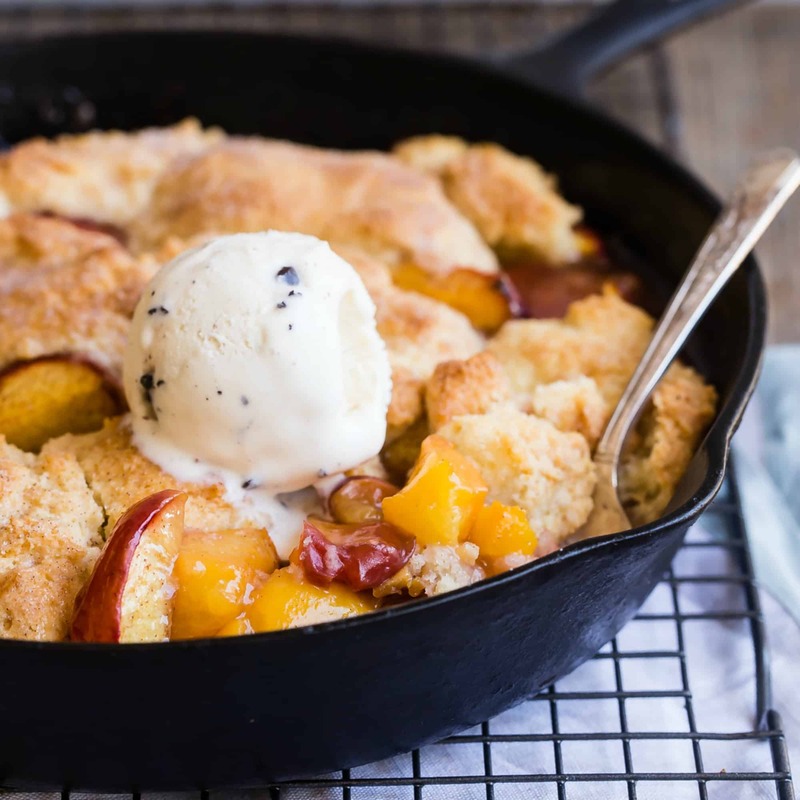 While the cobbler is baking, in a medium saucepan, melt the butter and the brown sugar on medium heat, stirring constantly until the mixture bubbles and becomes deep brown and caramel-like in consistency, about 5 minutes. Remove from heat and add cinnamon, water, and walnuts. Stir to coat walnuts in the caramel. Set aside. 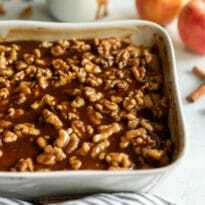 Once cobbler is finished baking, pour hot caramel walnut mixture over the cobbler. Cut into squares and serve warm with a scoop of good vanilla ice cream. 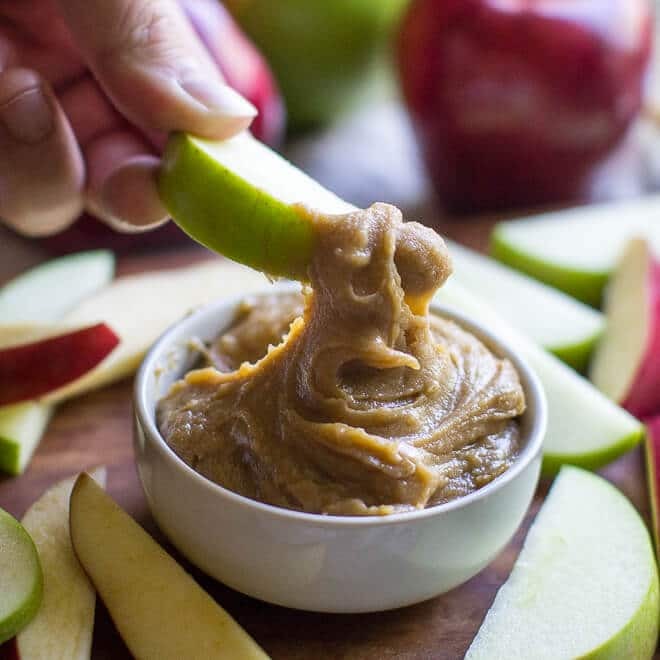 Salted Caramel: Use salted better in place of unsalted if you love salted caramel. To thaw the pies: Frozen apple pies can thaw out on the counter or overnight in the refrigerator. Do not thaw the pies in the microwave.